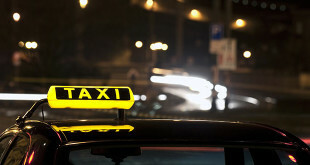 An unoccupied taxi has a lit-up sign and may be hailed on the street or hired from a taxi rank, but it is much more recommended and safer to order over the phone. Sadly, Prague still has some of the worst taxi drivers in the world when it comes to overcharging. It’s a standard warning in any guide that taxi drivers in Prague are famous for trying to rip off both tourists and locals. Taxi drivers in Prague are famous for trying to rip off both tourists and locals. On the other hand they are still cheaper than cabs in London or Paris. Hailing a taxi on the street or taking cab from a tourist attraction spot has the biggest risk of you being overcharged. 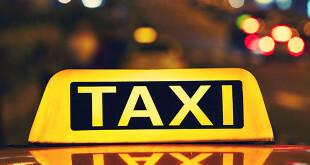 We advise you call a taxi from one of the most popular companies like Profitaxi or AAA taxi. They have quite good reputation. The minimum cost is (also so called starting fee, when you enter vehicle) is 40 CZK. Also check taxi-meter, must be at zero when you get in. They charge 28 CZK per kilometre and if you ask the driver for waiting, they will add 6 CZK per minute. Fare to outside the district of the capital city of Prague is not limited and can be negotiated. Registered taxis should have a meter clearly displayed. At the end of journey driver should give you a printed receipt. If you have a company in Prague and planning to use taxis for a long period you can make an agreement with ProfiTaxi or with Prague Transfers. Due to recent regulations and high fines for overcharging customers – taxi drivers are starting providing more fair service. But still be careful. The taxi service in Prague has had a somewhat chequered history. During the rule of Communist Party in Czechoslovakia (1948–1989), the taxi service was nationalised into one Umbrella company and, with a short exception during liberalization related to Prague spring, no independent taxi drivers were allowed. The quality and availability of the service was low. This caused many enterprising people to run illegal taxi services. Their earnings were far above income of typical citizens and became a source of envy. After the fall of the Communism regime, the service was liberalized, and anyone could become a taxi driver. Unfortunately, the chaos of transition from planned to market economy did not leave any time to implement sufficient regulations. The lack of planning and controls has led to a number of serious taxi scams operating in the city; some of which have been linked with organised crime. Many of the victims of overpricing are tourists. Either ask a Czech person to call you a cab or call one of the city’s more reputable English-speaking companies – Try AAA or ProfiTaxi. They can also give you an indicative estimated price for your taxi ride. 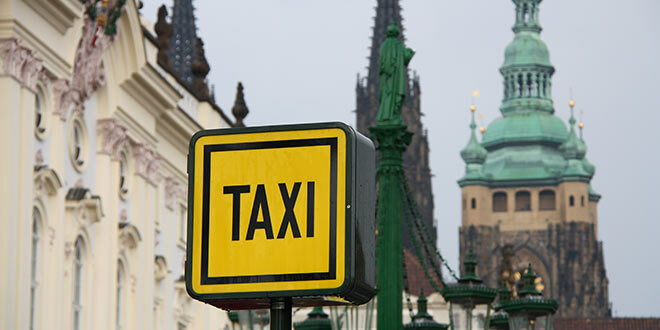 DO NOT USE Taxi service in Prague – YOU WILL BE RIPPED OFF, one way or another. I flagged taxi, thief overcharged me using fixed meter and con me to believe that O gave him 200 crones instead of 1000. I paid $40 for ride which only cost $5. Be aware. Use alternatives like welcomepickups from airport to city , and Uber Taxify within the city – you will save aggravation and headache. Believe me, it’s not worth to face crooked taxi drivers. The Prague don’t do much in fighting them. laws are not there, the cases hard to prosecute. 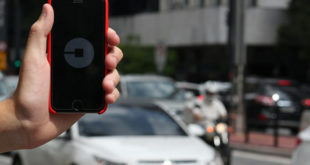 By using alternative services, the taxis will be obsolete due to fair competition. While many hotel receptionists, web forum posts and guidebooks suggest that you stay away from taxis, the trick is to be sure the taxi driver switches on the meter at the #1 tariff. But best option is always to call for a taxi or prebook online (or have your hotel call one for you). I wanted to share this story with you before you think of going. A taxi driver very calmy not once but twice held us to ransome from the Pardubice racecourse to Prague airport by getting us out the car and locking our bags and money in the car to attempt to get more money out of us. The whole incident of being left on the streets of Prague on the way to the airport with no money, no passport, no directions was very frightening. The taxi driver laughed as our bags were locked in the car and he attempted again to extort us. it was only thanks to some neighbouring passers by (english) that we escaped. We lost ALL OF OUR MONEY but did get our bags back. There is a newer taxi service also called AAA, but bearing a different logo. The newer service is not reputable and it would be advisable to know the logo of the reputable AAA service. However, even with the reputable AAA, we had it through the driver from the headquarters that we would be charged a flat rate for a lift to the airport . . . who then proceeded to use the meter and charge us by the kilometer. Unfortunately for them, we only had the flat rate fee in cash and no more. It was an unpleasant exchange and the driver went away muttering something about buses. In short, an agreement may not be the final word, but then, you can only pay what you have in your pocket. Are AAA Taxis really good? Yes on most occations AAA Taxis are OK; there are not many negative posts from travellers. You can order AAA Taxi by phone or by sms. Even you can specify what languages would like your driver to speak but in most cases you will be lucky if driver speaks some English as all bookings are subject to availability.